When you site your influences as Tina Turner, Otis Redding and Janis Joplin, you know that when you step up to bat, you’ve got to hit a home run for the team and Cooper & The Jam’s live show does just that. Cooper, a fiery, free spirit leads her 11-piece band, which includes a horn section, as well as backup singers and dancers, through a rowdy, tenacious set that’s sure to have audiences singing and dancing along. Cooper’s album has already drawn comparisons to Grace Potter and Amy Winehouse, but she’s really a force of her own. Cooper’s live shows are always firecrackers; each song is powerful but as the show builds you can’t help but anticipate the moment the whole thing bursts into a brilliant, shimmering performance. And Cooper’s deep, rousing voice, with the help of her raucous band, always brings about a moment (or several) of brilliance. Now, you can experience that same brilliance at home, on Cooper & the Jam’s new album, Motown Suite, which saw its wide, digital release on September 10th. Cooper’s soft, purring voice could do justice to any number of ‘60s hits and the relatable, simple subject matter of songs like “I Wanna Love You,” recall the Motown tunes she’s found so inspiring. But the album still manages to be entirely modern and could easily serve as an accessible bridge to soul music for a pop fan. In April, Cooper’s 7” Cooper Live at the Historic Star Theater was chosen as an official Record Store Day release and to celebrate, Cooper performed at two record stores, across the country from each other, on the same day. Since then, Cooper has had the chance to open for Mavis Staples and Robert Plant at Portland’s Waterfront Blues Festival. Motown Suite captures the essence of Cooper’s live shows; it includes upbeat dance songs, Motown-style ballads, rock guitars and rich vocal harmonies. The album stands as a testament to Cooper’s ability to incorporate her influences into a sound that is obviously steeped in classic soul but that is, at the same time, a unique, modern sound just her own. Nicely done review. 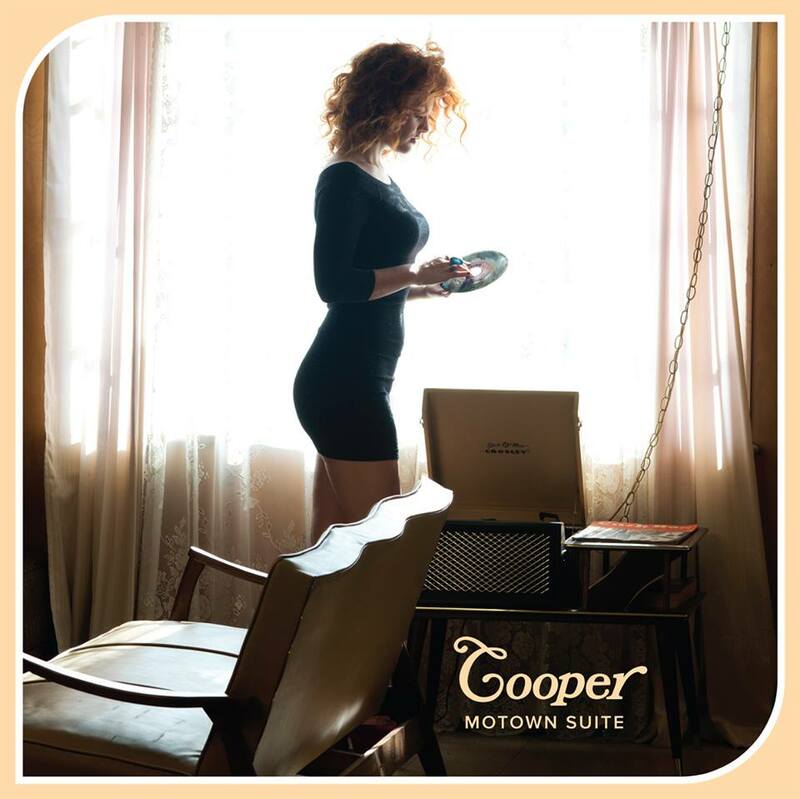 What impresses me most about Cooper’s “Motown Suite” is every song is better than the last. You are not tempted to download a song here and there as they blend well in a “rock opera” type of experience. Few albums (I do hope you get the vinyl, too) over the years can make that claim. My favorite? “(Gimme some) Sugar.” The best music nurtures your fantasies, doesn’t it? I find Cooper a blend between Bonnie Rait and Heart with horns for effect. The Jamettes are quite talented as is the whole band. The experience seeing them live is great fun. I thought they were the best at The Waterfront Blues Festival is Portland, OR and they were the lead in for Robert Plant. Not bad company.